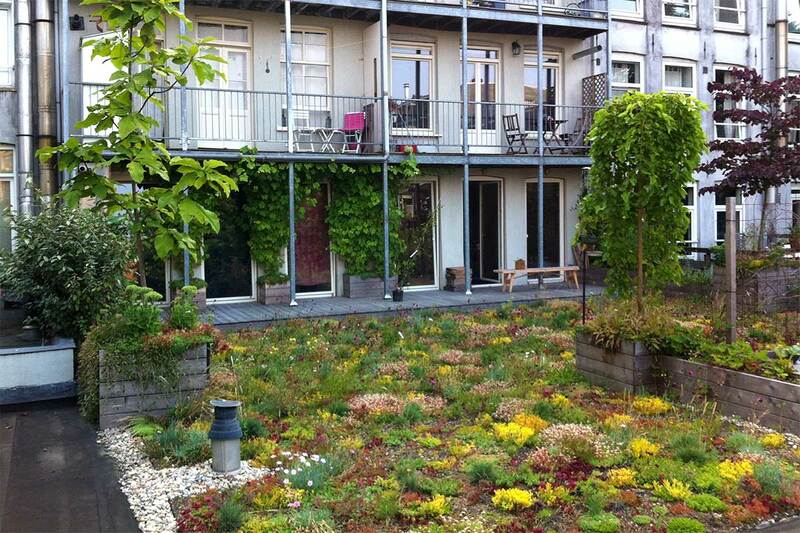 Challenge: Creating a green oasis on a 120m2 roof. 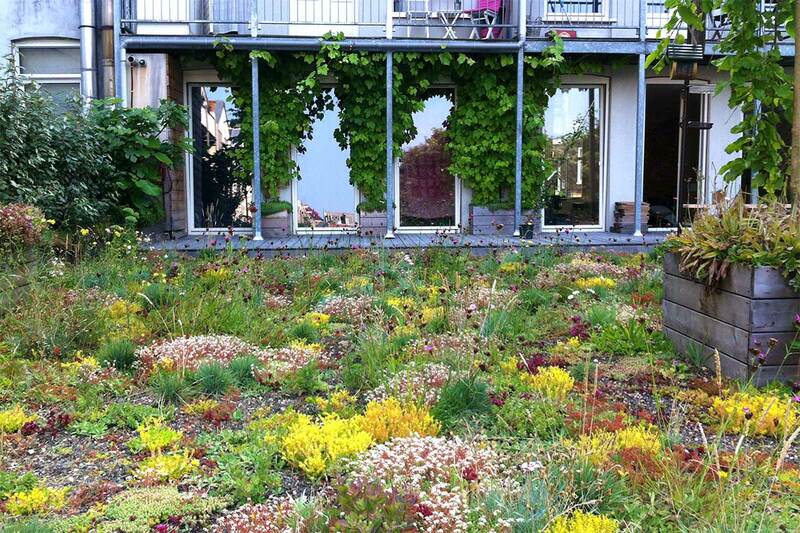 Result: The center of the roof consists of individually planted sedum. 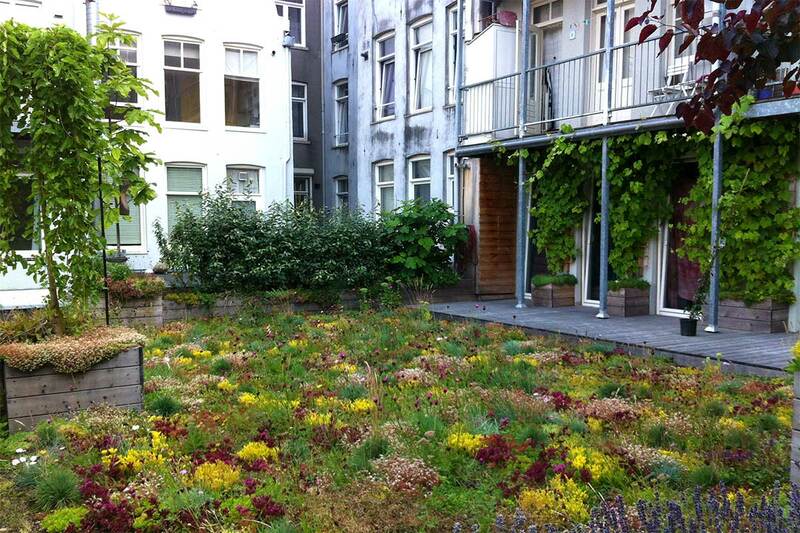 Around the edges of the roof we applied sustainable Platowood planters. Across the roof we planted three lightweight trees in larger planters.